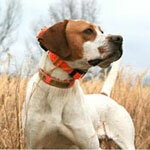 Steve's pointer, CLICK, wears a beeper collar quail hunting in Texas. 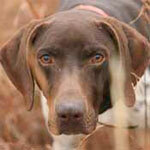 Steve's GSP, SAGE, only trains with a SportDOG 1825 training collar. Steve's black lab, ROXY, after retrieving one of her training dummies. 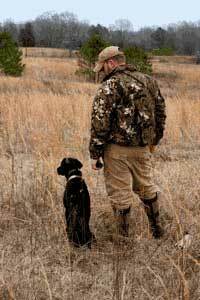 "We train our dogs with the products we sell." Taking care of folks and their dogs since 1972. Our family-owned & operated small business wants to be your one-stop shop. Get fast, friendly service with safe, easy, & secure shopping. 4.93 on an independent 3rd party review site.